How often have you been on a vacation with the family sitting on the beach or hanging by the water thinking “it would be great to get some fishing in”. Most Ontario residents have visited Florida on a vacation at one point in their life and considering it claims to be the fishing capital of the world, why wouldn’t you try to fish when you where down there? 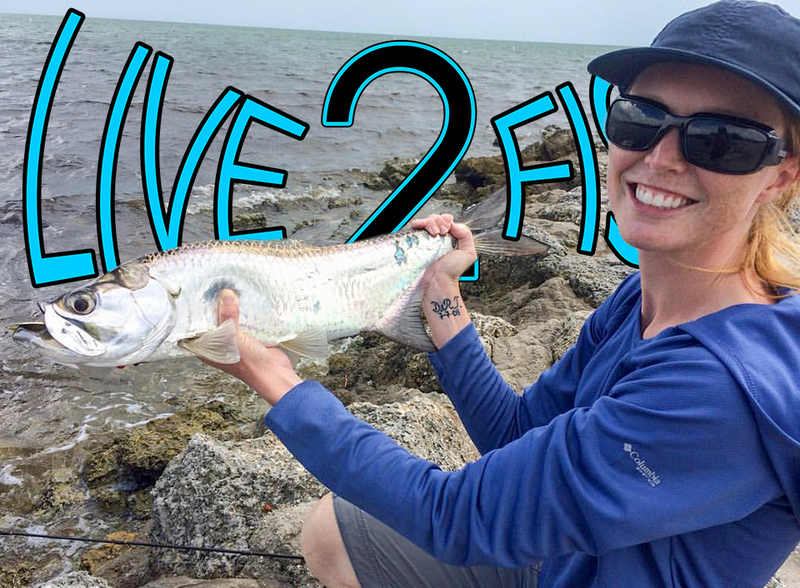 It doesn’t have to cost a whole lot of money, time or take up a lot of baggage space and fishing saltwater can be a whole lot of fun and is not as hard as it seems. If this is your first time planning to do some fishing while on vacation in Florida than Google will be your best friend. 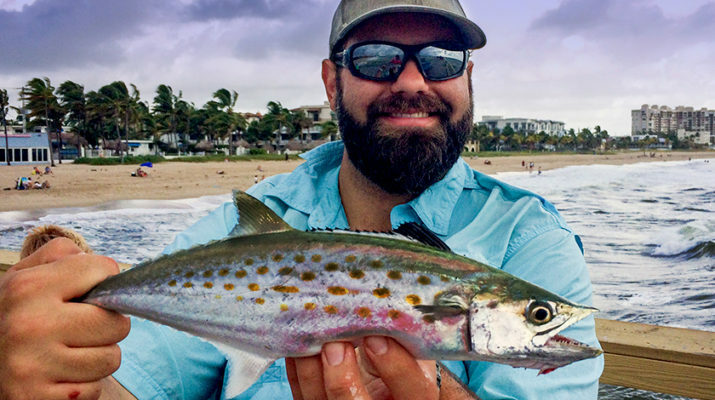 Each area in Florida is a little different, the fish migrate along the coast and some areas are known to hold specific fish more often than others. Forums, regional magazines like Florida Sportsman and blogs are all great resources. The next step is to look for access to fishing spots. Using Google Maps to look for jetties and piers is probably the easiest way to start. 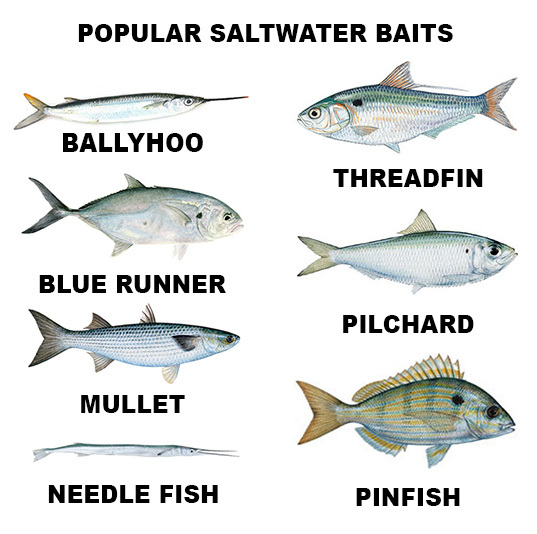 Piers and Jetties are bait hotspots and we all know that where the bait goes the sport fish are not far to follow. The biggest advantage to fishing a pier is usually you do not require a fishing license (the fee to access the pier usually includes a fishing license for your time on the pier, but always call to confirm), there is live bait sold on location, the guys in the shop know what has been biting and can help you, and there are usually other anglers fishing that will help you if you are struggling. And if you are really tight on space, at most piers you can rent gear, a call ahead will let ya know which places have rentals. The biggest struggle for me is always what gear to pack. Being the chronic over packer I am, I over packed for my first trip down, but it did teach me how easy it can be. I can now bring just about everything I need in one 360 tackle tray and a small bag for tools and leader materials. 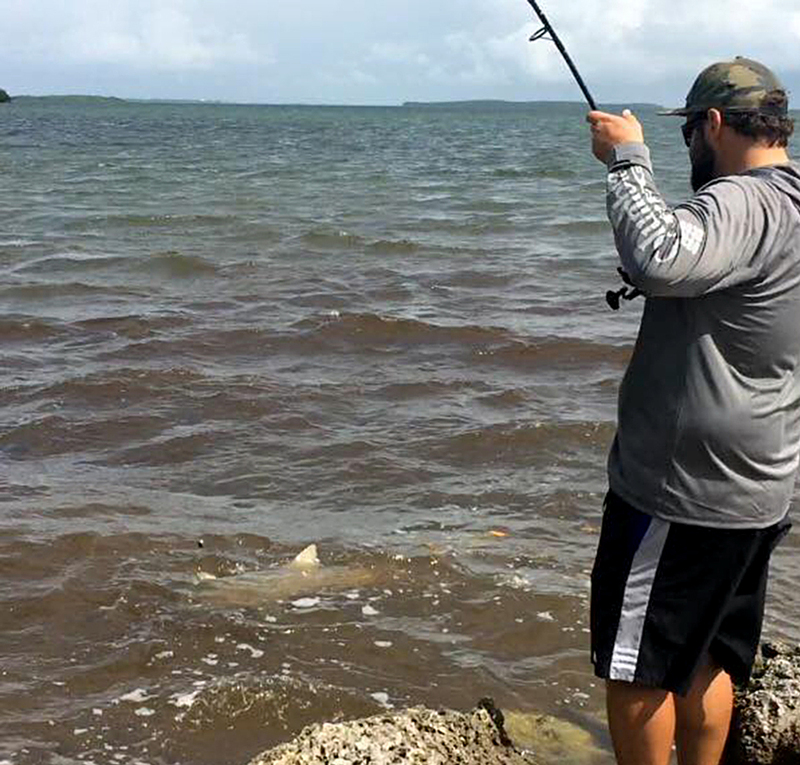 There are two ways to approach the Florida salt water, live bait and artificial bait. Weather you are on the pier or from shore my live bait rigs are just about the same. When I am using lures than my pier selection differed than my shore selection. If you are going to fish from the pier than a six to seven foot medium to medium heavy fast action rod with a 3000-4000 size saltwater rated reel is more than sufficient. If you plan on bait fishing, which off the pier is typically cut bait, than some size 6 and size 1 hooks will tackle most situations. ½ oz, and 1 oz is almost always enough for fishing off a pier with the exception of heavy winds or currents. I typically by my weights in Florida since they are literally just extra weight that you are packing and typically the same price everywhere I go. I only bring three lures with me on the pier now and use the same rods as I would for live bait. A Rapala X-Rap Slashbait or Countdown, three to six inch long buck tail jigs in weights from ¼ oz up to 1 oz, and some Gotcha Jigs. 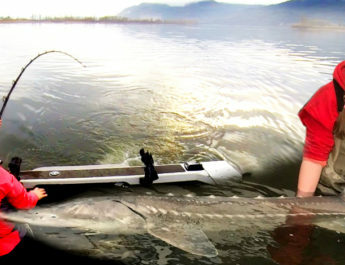 This will let you fish fast, slow, deep or shallow and catch any predator that swims. Fishing from shore only a few things change for me. 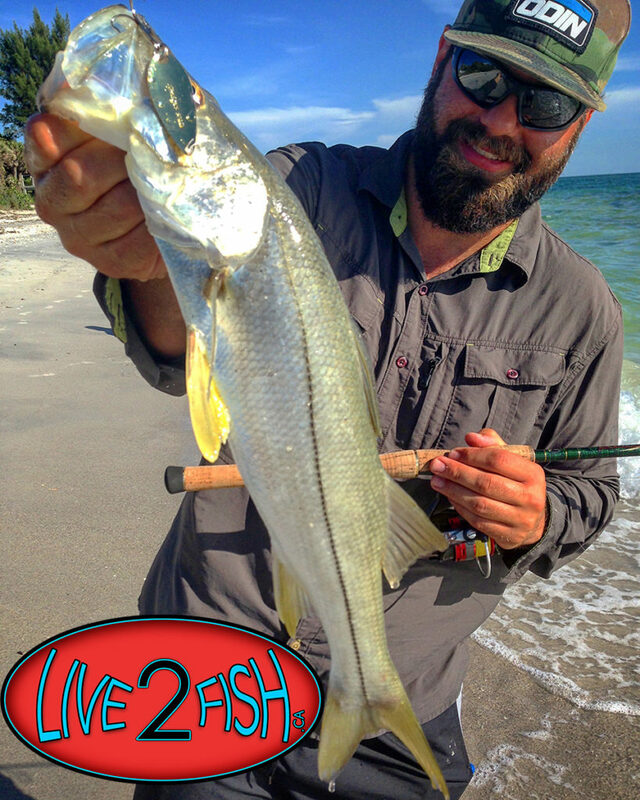 Using a longer fishing rod definitely helps with casting your baits farther, keeping your line out of the waves, and helps to land fish in the surf when you are using both live bait and lures. Unless I know the fish are in one specific area and I am going to camp I pack very very light and don’t use live bait. I have a sling pack that fits a small 350 or 360 take box, a pair of pliers, cutters, hook sharpener, and some leader material. I walk the beach with a 7’6” rod, usually casting a ½ oz gold Jensen Sprite spoon or a Rapala X-Rap Slashbait, but if there are not whitecaps than it is almost a sure thing that I will be throwing a Storm Chug Bug! I probably catch less fish with the Chug Bug but man is it ever fun! You don’t always need to buy bait, catching bait can be a lot of fun and if you are fishing with kids can be the main event. Using a Sabiki rig is a great way to catch bait and as easy as it gets. 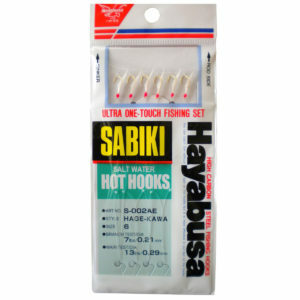 A Sabiki rig is a length of line with multiple hooks running off the main line with a piece of flash on it, you attach a weight to the bottom and get it in the water. 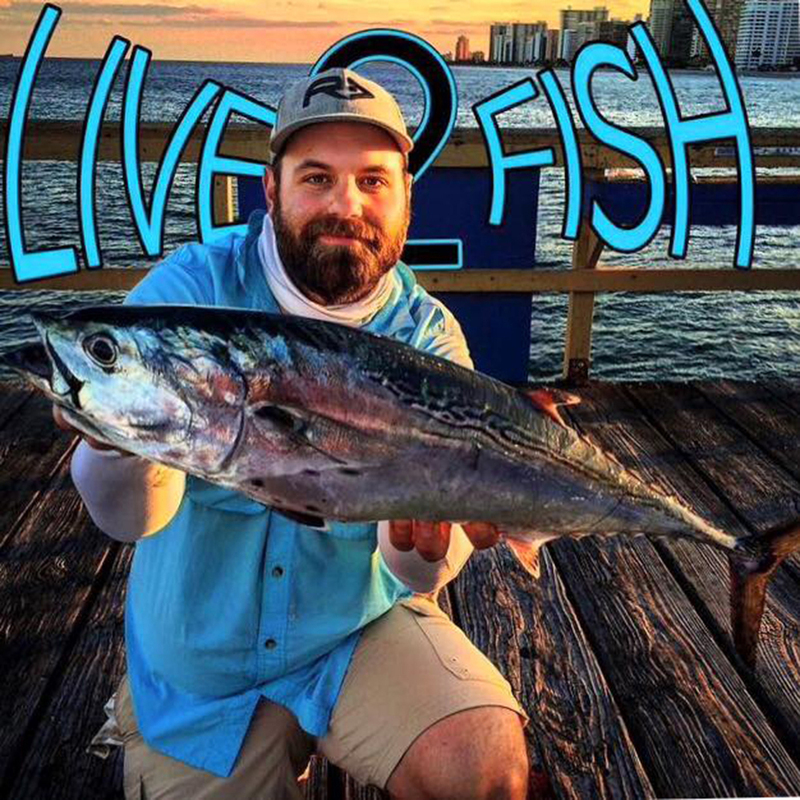 You can cast it or drop it straight down and either reel it in or lightly jigging it around. Typically once you hook a fish other fish come in to see what all the commotion is about and will almost always hit the other hooks. Once you catch your bait you can use it live or as cut bait. One piece of advice that was passed onto me, which has been very useful while I am learning the different species of baitfish is, “if it fish has a dot on it, than it is not good bait”. This is not always true BUT in most cases definitely useful until you know how to identify the fish you are catching. 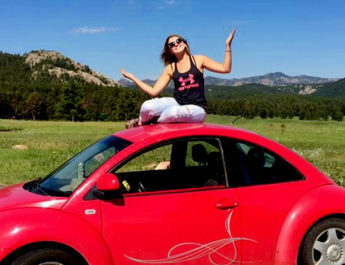 So what exactly do I pack when I am packing light? My main goal is efficiency, packing light and compact so everything will fit it into my luggage. I mentioned that I don’t pack lead weights, and most items are available at the bait shops and pier shops in the areas you are fishing so if I am not 100% sold on the bait than I leave it at home. Gotcha jigs in silver and gold with yellow and orange heads. When looking at a reel to use remember how corrosive saltwater is. Always look for reels that are corrosion resistant. There are many companies that make saltwater reels or reels that are useable for light salt duties, most Daiwa reels, higher end Shimano and Abu Garcia reels can be used in the salt as well. 6000 sized spinning reel with 30 lb Power Pro with no backing. I want as much line on this reel as possible when using live bait so you can set the drag light and have it work like a bait runner reel. It goes without saying that getting a guide will definitely speed up your success rate and give you access to all sorts of fish, but doing it is not the only way. 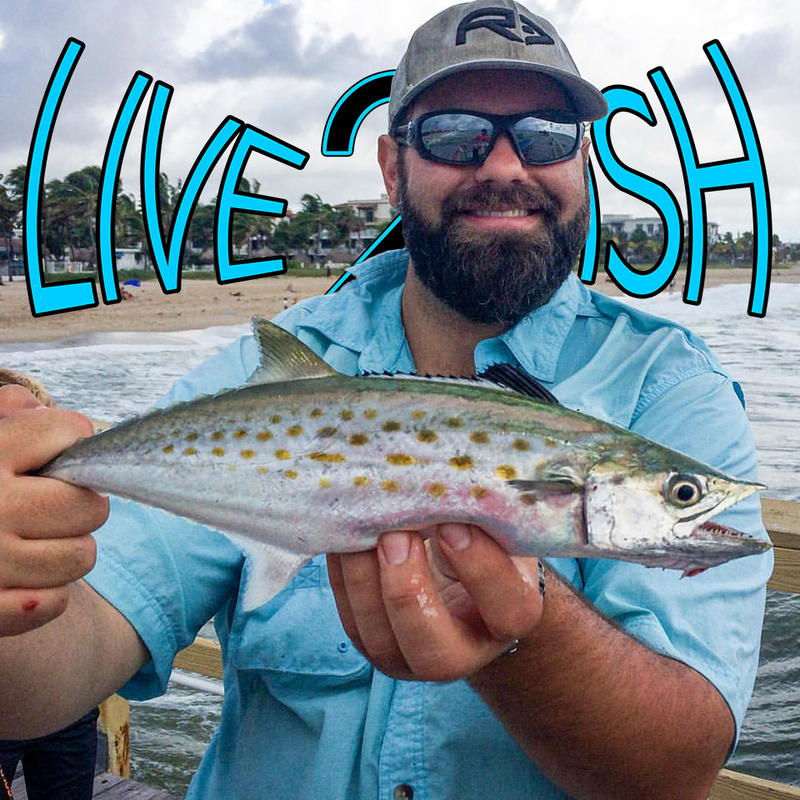 With gear that most anglers have at home, some time on google and google maps and a few bucks to gain access to a pier or jetty and you can get hooked up in no time.